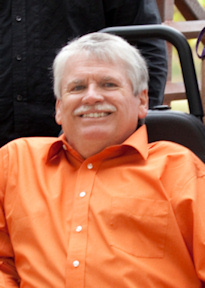 I have enjoyed a rich, full life from an interesting perspective – a wheelchair. My background has provided a great deal of experience in working with churches and trying to understand how they work, and often why they don’t work. Much of what I write is an attempt to make sense of the church. One of the overall themes of my writing is that the older I get the fewer things I am sure about. It is not that I am getting dumber, just that I am not so sure quite as often. For many years I made a living as a pastor and church consultant. Since I am no longer able to travel as much as in the past, I have found new ways to put food on the table. I operate a small publishing company (www.abpbooks.com). If you are willing to read my stuff then I will try to challenge, entertain, anger, encourage, educate, motivate, comfort, and inspire you at times. It is a tough task but I am willing to give it a try if you are. If you want to talk you can reach me at wterrya@gmail.com. Terry, I have remembered you several times over the past 35 years since we were at SBTS together and you and your family stayed with Belinda and me for a few weeks after you graduated. I will aways remeber how you went up our stairs one at a time. I think that was the night of the big blizzard when you moved in! Last year I read an older article (which I have forgotten the title of) by “Terry Austin” and I assumed it was you and again reflected on where you might be in life. Today I read your Noah review on EthicsDaily.com and am glad to connect with you. I am now a pastor (abcusa) in New Albany, Indiana, have 3 kids and 4 grandchildren, am divorced from Belinda (but on friendly terms now)for 20 years and never remarried. It would be good to hear from you when you have the time: djames@iglou.com, 502-558-7557 any time!